Lawyer Solutions Group is Nevada's ONLY full service Court Reporting & Trial Support firm centrally located Downtown Las Vegas. We are committed to working with you and your litigation team so that you can focus on the case and let us worry about logistics. With over 20 years of working in the Las Vegas legal community we have a full commitment to our clients of providing the service they expect and deserve. Should you ever need help we are only a call or e-mail away. No need to contact corporate or wait to see who can make it happen. We believe in personal service and being accessible when you need us. For the best legal assistance for lawyers and medical professionals in Nevada, trust the dedicated staff at Lawyer Solutions Group. From trial support to electronic data discovery, we offer a range of services. We will work hard to ensure the best possible outcome for your client's case. We truly believe that justice is the most important aspect of any case and this is something we will always help fight for. Lawyer Solutions Group is dedicated to ensuring that your deposition experience is the best it can be. Using cutting-edge technology, Lawyer Solutions Group experienced, dependable reporters and staff repeatedly perform above and beyond expectations to maintain the standard of excellence built on hard work and dedication. We meet the ever-changing demands of litigation and document management. We are dedicated to obtaining the optimal results for our clients. Our quick personalized services have made us the most popular company for lawyers in Las Vegas, NV. We will make your work easier and help you make the most of your skills and capabilities. If you have a current case that you need court reporting and litigation support with, or wish to know what options you have regarding your ongoing case, please contact our firm. We look forward to helping resolve all of your client's legal issues soon. We also offer expert Trial Consulting and Support. 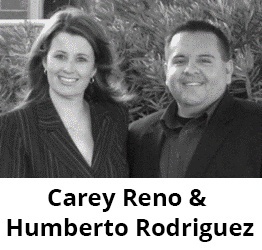 Awarded Nevada's Premier Trial Services Firm.